"During some of my earlier ski days, my family rolled up to the mountains in a rusty brown 1954 GMC bookmobile. It was a grotesque machine in both looks and mechanics, but every Friday night from December to April, that neurotic old vehicle delivered our family of five to Crystal Mtn, about 100 miles away from Seattle, and provided lodging for the weekend. My sister and brother and I would sit at the table/bed in the back and Mom gripped the dash from the co-pilot position while Dad worked the shifter and struggled to manage 13,500 lbs of momentum with less than adequate brakes. It was an eye sore, scary to drive, cold, and smelled funny, but when it snowed two feet we laughed and said it was paradise. It wasn’t luxury living, but it brought the family together, and we skied hard. I probably wouldn’t have wished it back then, but those days seem to have set the tone for my life thus far, at least in spirit. I still do whatever it takes to ski as much as I can. After some years of tearing around the mountain finding secret trails and powder stashes, I began racing at 11. It was the logical next step and provided speed and adrenaline and taught me to push the limits. I enjoyed the competition, and the discipline was good, but I was still out freeskiing as much as possible, and I poached the “snowboard park” on occasion too. I ski raced through college, and then with some hard earned summer cash, took off to Europe and succeeded in spending a serious amount of time on snow, racking up lots of vertical in big terrain. Since then, the thought of a “real” job has been less and less attractive, and when winter comes around I put everything else aside. Skiing is a beautiful way to travel in alpine terrain. It provides access to amazing places while leaving only a fleeting trail and allows one to interact with a huge amount of terrain in a short period of time. It allows effortless speed and grace over what would otherwise be scarcely navigable terrain. It’s a simple game of resisting and manipulating gravity, and is made possible by the most vital of substances. I am continually amazed and always grateful that this crazy sport exists and has progressed to it’s current state. Arne was extremely competitive all through his early school years, high school and college. He not only was a good swimmer but played soccer and was a gifted skier. He was committed to excellence in what ever he did and was a stand out student at Highline High School, both in athletics and scholastics. He continued his hard work and disciplined ways at Whitman College where he was on the ski team and graduated with a major in chemistry. Soon after graduating from Whitman, Arne went to work in the ski industry. However, his love for skiing led him to follow in his sister’s foot steps, that being big mountain freeskiing. 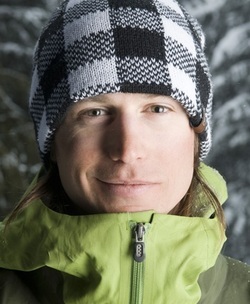 Arne has been featured in many ski films and won a number of free skiing competitions including the McConkey Cup as the Freeskiing World Tour Champion. Even with the continued notoriety Arne maintained the same unassuming attitude he had always demonstrated. He was kind and thoughtful, respectful and humble to a fault. Arne was an Eagle Scout and would mentor the younger scouts. Even though he seemed quiet and reserved, you could tell by that twinkle in his eye that there was a bit of mischief there just waiting to explode. Arne was the kind of person any parent, sibling, or friend would be proud of. Arne Backstrom Ski Memorial Video from Frank Shine on Vimeo. Arne Backstrom Tribute: Revelstoke 2011 from Subaru Freeskiing World Tour on Vimeo. Arne Backstrom: the champion and sick bird winner. from UnofficialNetworks on Vimeo.